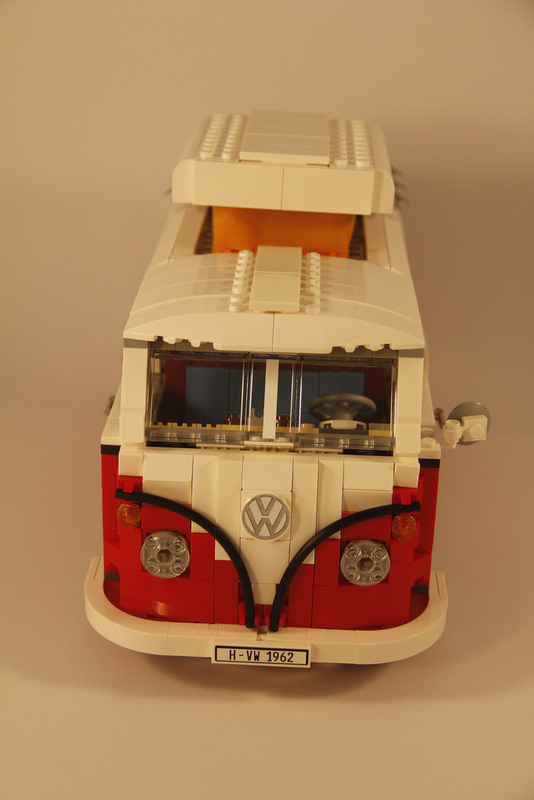 The Volkswagen Kombi is one of the most iconic vehicles in the world, and it was only fitting that LEGO reproduce one for the fans. 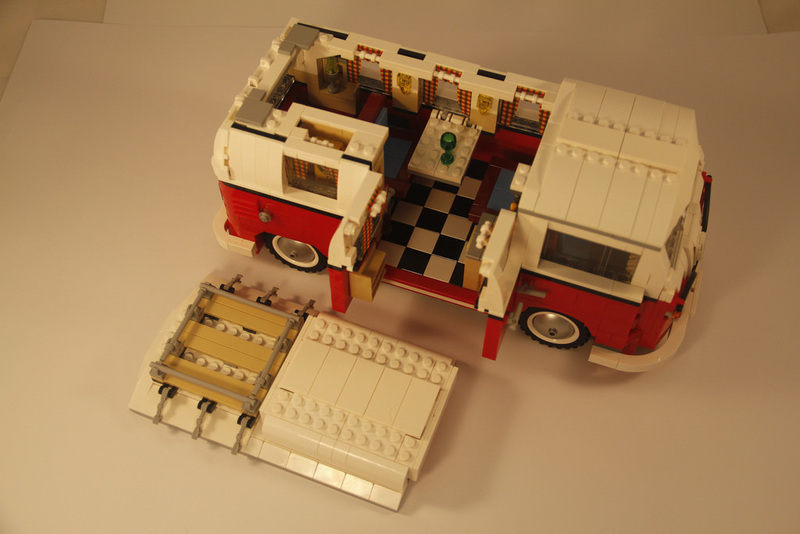 Included in this set are some beautiful features, both interior and exterior, with this set being one of the best vehicles ever produced by LEGO. The Kombi has undergone some big differences in it’s lifetime, but this version, the T1, with the split windscreen, was considered a favourite by many Volkswagen enthusiasts. I’ve recently fallen in love with the larger LEGO vehicles, so knowing that this one was on the pile waiting to be built was super exciting. 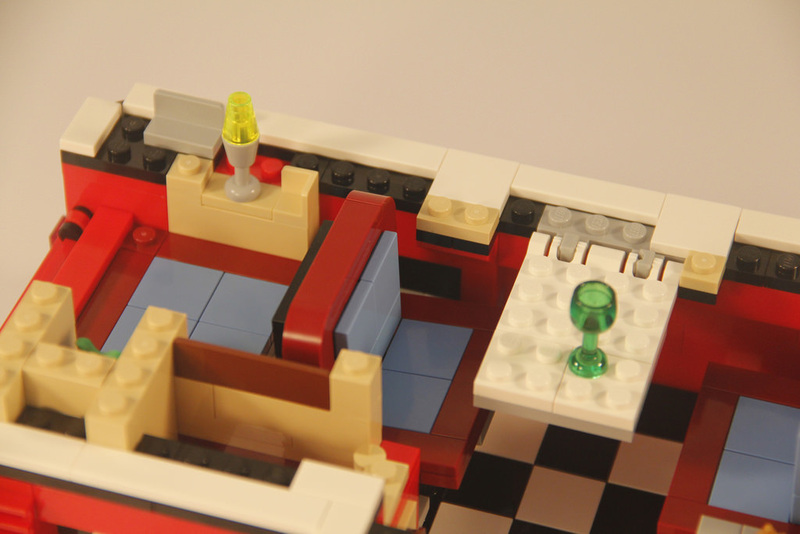 It’s renowned as one of the best sets to build, so read on to see what I thought. When the box is opened, you’ll find two instruction manuals, two sticker sheets, and 15 bags of parts, interestingly all unnumbered! I have to admit, I wasn’t a fan of this method, as all the bags had to be opened at once, so finding the correct part was a little troublesome at times. The elements in this set are pretty varied, with some unique ones included. The tall tan windows and the 1×1 trans yellow plate with tooth are unique to the set, as well as the two different types of fabric – the covering for the pop-top mechanics, and the great looking curtains. There is also a nice gold tap, some metallic dishes used as hub caps, some hose, and a plethora of red and white parts rarely seen in other sets. While there are a lot of moving parts in this set, it’s not really a set conducive to play. Yes, it has wheels that move, but they don’t turn, and yes, the roof can come off, but there’s not a lot of room in there, and it’s obviously not minifigure scale. 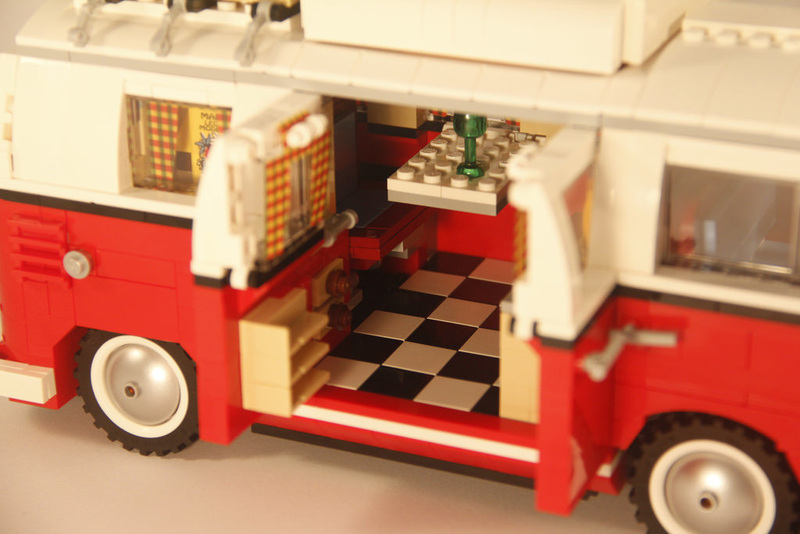 The doors open, the boot opens, the safari “splittie” windscreen opens, and the pop top can certainly pop, which is beautiful, but this is a display piece, not a play set. It’s a low mark for this section, but bear in mind that this set was probably not intended for play, but for a few different display options on a shelf with your favourite sets. Like any standard vehicle build, it all starts with the chassis, closely followed by the engine. This by itself looks great, with a fan belt, hoses and some nice little details. The next stage is the rear lights and engine compartment cover, as well as some seats that can ingeniously fold flat to become a bed. This was a very nice surprise! 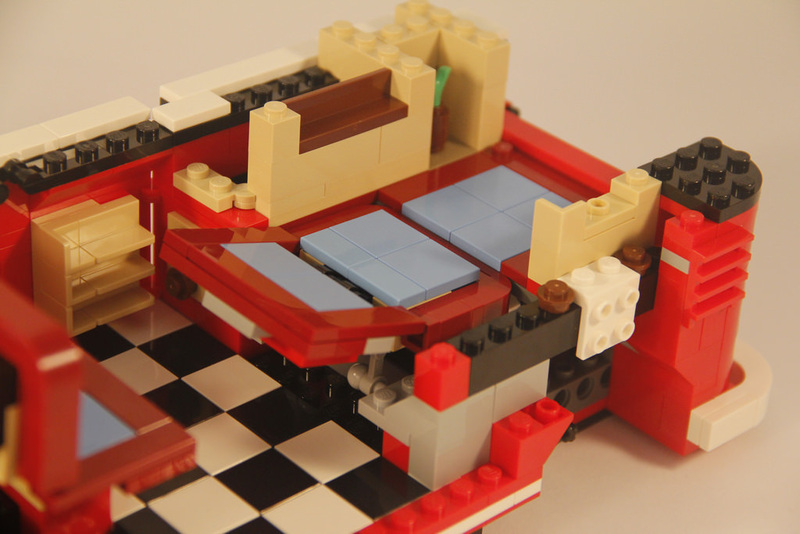 We then move on to the cab section, with the seat, pedals and gear stick, before moving on to the back again for the rear doors and table, as well as a few little details like a glass and lava lamp! With the bottom half pretty much done, you move on to the windows, each with a curtain, followed by a cupboard with tiny mirror sticker and artwork. The artwork includes a surfboard with the initials JH, the initials of the designer! I love the window frames on this vehicle. They’re clean and smooth, and very cleverly designed. 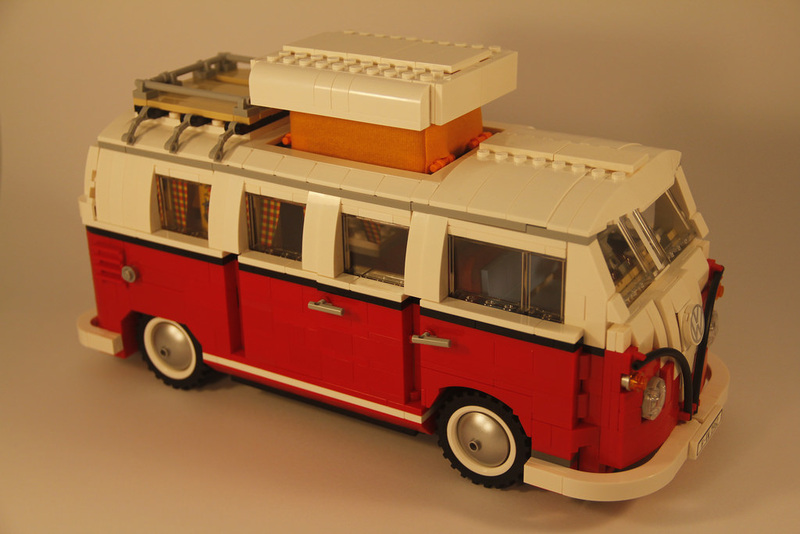 The rear windows and windscreen are inserted, followed by the roof, roof rack, and pop top section. 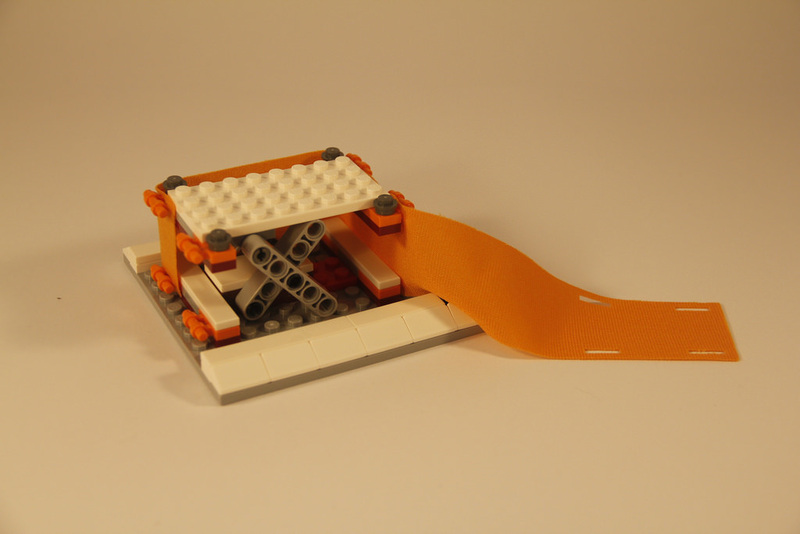 This is really well designed, with the basic Technic mechanics hidden by the orange curtain fabric. Last but not least is the iconic front panel and hub caps on the wheels, and you’re finished. I thoroughly enjoyed the build for this set. It has a great mixture of SNOT in it, and is really exciting to see the vehicle come together. It takes a while to sift through the pile of elements, but it essentially draws out the build experience so you can get stuck in and really enjoy it. This set is brilliant. There is a little repetition, and stickers can be a pain, but it’s totally worth it for the end result. 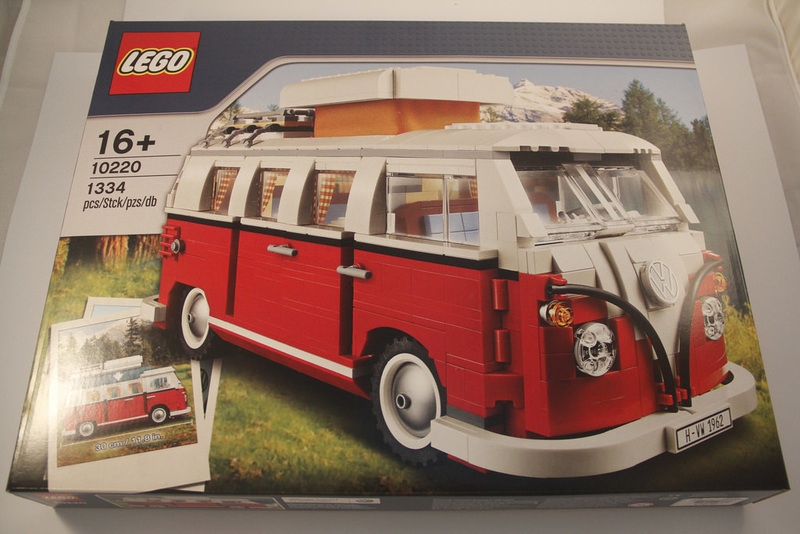 This set is touted as being one of the best vehicle sets, and even sets in general from LEGO in recent history, and it does not disappoint. It’s a beautiful looking model, with vibrant colours, beautiful interiors, and lots of nice little hidden treasures, like the yellow t-shirt in the window! I was really excited when this one was finished, and just kept coming back and looking at it. It’s a stunning model and now holds a spot on my prized sets shelf. I honestly can’t fault the appearance. They’ve done really well with keeping it accurate with the real vehicle, especially in the cockpit. The value for money is pretty good for this set. The RRP works out to be around 12c per element, which is pretty decent, but considering the parts included, and the set itself, it’s well worth it. 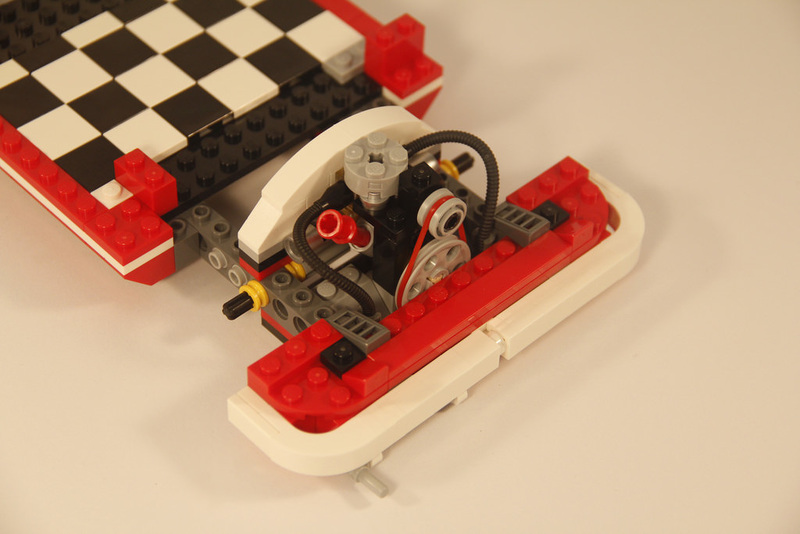 It’s still available from the LEGO Store, so get in before it retires! There’s also a few copies available on secondary markets that are going for a little cheaper, but there’s no guarantees they’re what you are expecting, so be careful! This is a highly collectible set. It’s extremely popular, and on the hard to find list from the LEGO Store, so if you get it for a good price, you’re lucky! This is definitely a set to snap up. There are more larger scale vehicles coming, especially with the imminent release of the new LEGO Ideas 21307: Caterham Seven 620R, so start collecting now if you haven’t started yet! It’s a lower score than expected, but that’s only because of the swooshability score. It’s still a hugely successful set! 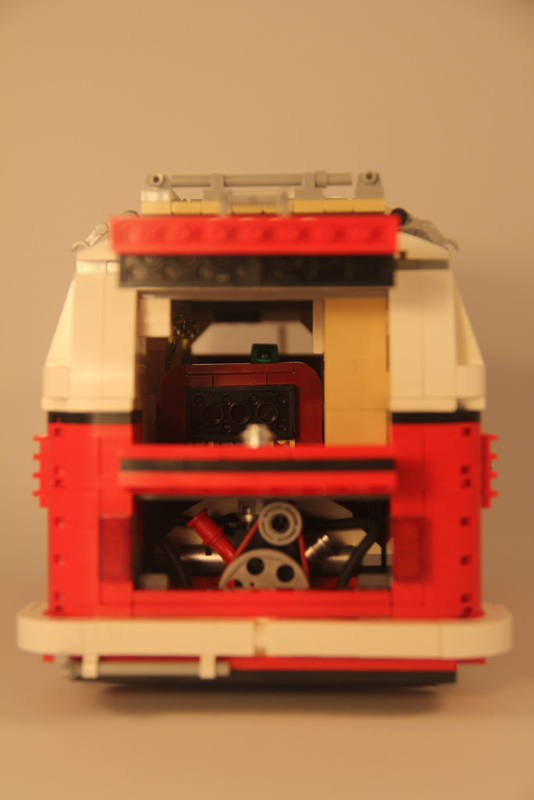 Next week I’ll be looking at a modular – 10232: Palace Cinema. Let me know your thoughts in the comments! I’d love to hear from you. Also, apologies for the yellow tinge to the photos – I’ve bought some new globes for my light tent, so the photos should improve! Thanks Hayo! I’m glad you enjoyed it.